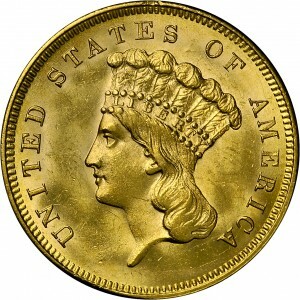 This coin is an outstanding choice Mint State example of this issue, from a mintage of 34,500 coins, with almost all immediately entering circulation. The typical example grades Extremely Fine with only a half dozen or so Mint State examples known. As with most of the Harry Bass coins, this example is one of the finest. 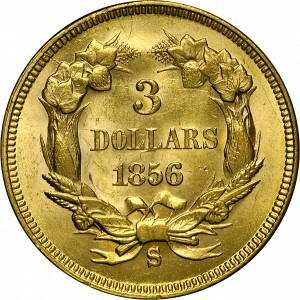 This example has a prominent die crack from the base of the second L in DOLLARS, and also a recut mintmark. 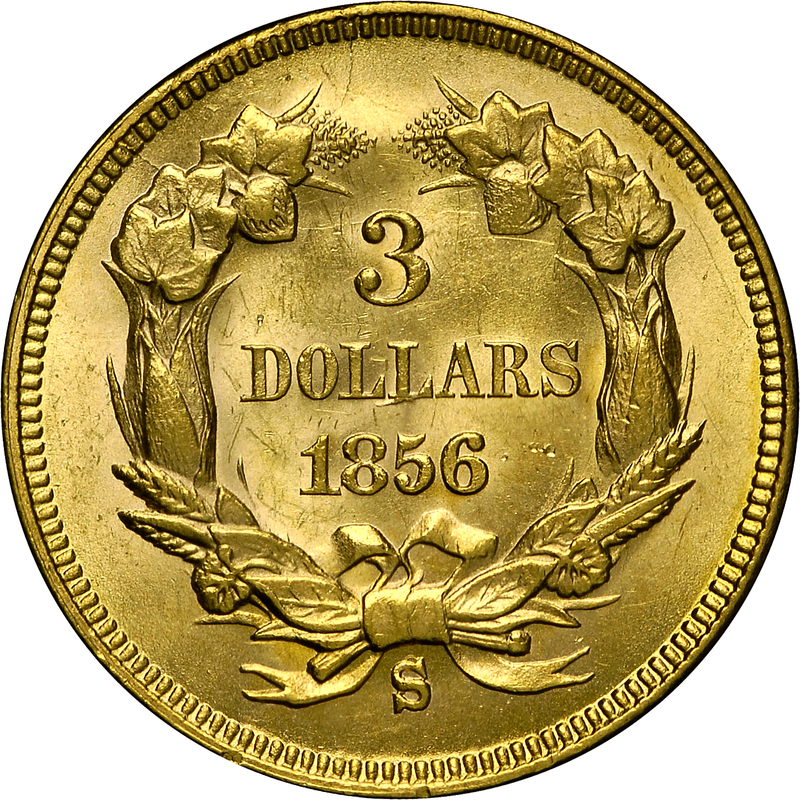 Three varieties are known, each with different mintmark sizes. From Stack's sale of the Scanlon Collection, October 1973, Lot 2202. 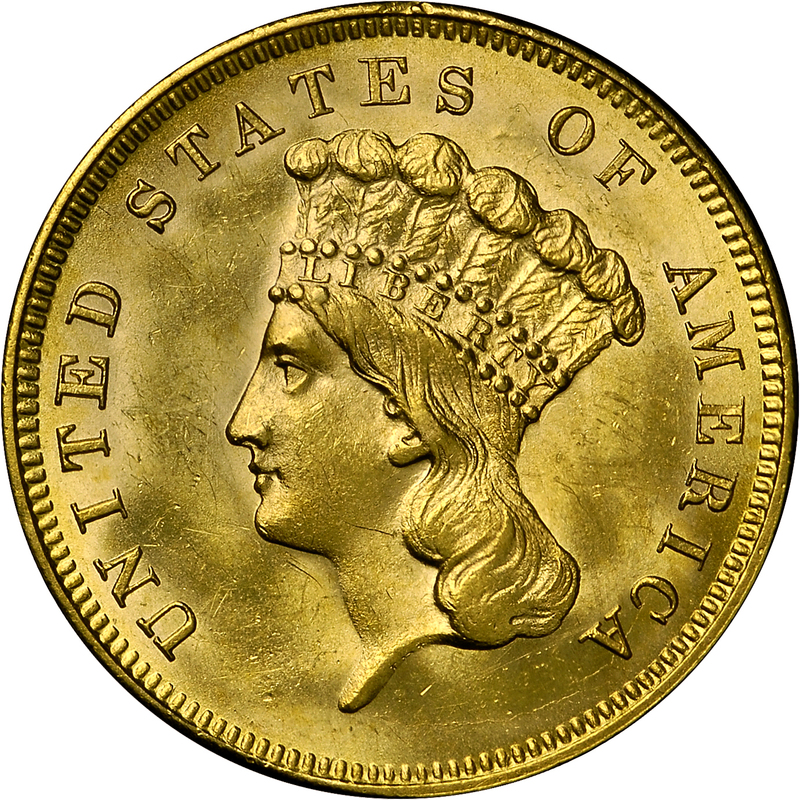 (adapted): "Obverse: Head lightly hubbed into die, making bust truncation thin. Hairline crack CA - tip of bust truncation. Reverse: Medium S mintmark (the punch used for STATES), high and to left of center between ribbon ends. Die crumble joins interior ends of S mintmark to its center portion. Headdress feathers clash now evident – attached to top of mintmark and continuing to bases of adjacent ribbon ends. Right opening in bow has very weak vertical ribbon element, resulting from lapping. Date numerals aligned with OLLA above. Now with linear die crumble attached to base of second L. Cracks: edge - middle maple leaf at upper left; edge at top – curving down to left terminal tassel."